I meet my pastor at Cracker Barrel for lunch most Fridays. I was just going to say it looks like Cracker Barrel and it is! Great shot! 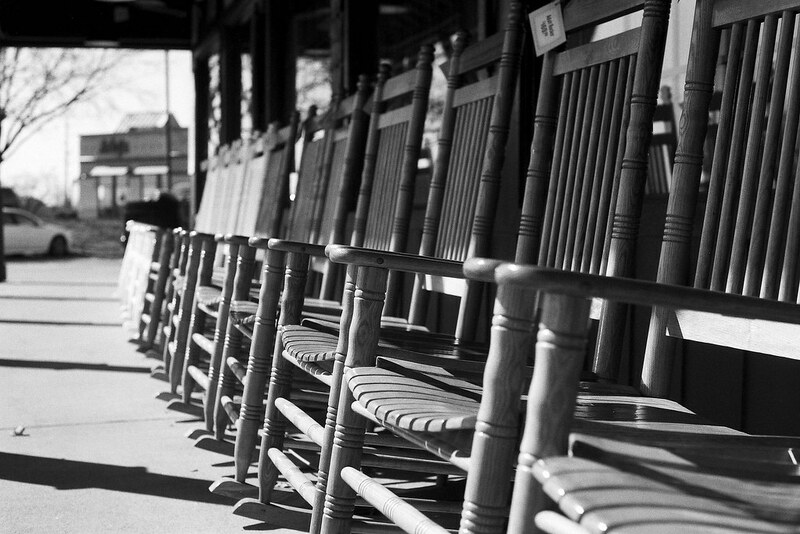 I have never seen a row of rocking chairs before, let alone at a cafe or restaurant. Nice pic. Cracker Barrel is almost an American institution. They sell these chairs, and a whole bunch of other things in the store that makes up the front half of each restaurant. Great idea for a mixed business. If I’m every in the US again, I will look out for one.